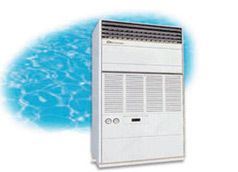 As a company specializing in refrigeration and air-conditioning, Century Corporation has developed through independent domestic technology during the last 40 years, and is firmly strengthening its position as the leader in refrigeration and air-conditioning equipment through the introduction of cutting-edge technology as well as continuous research and development. As professional refrigeration and air-conditioning company developed through continuous R&D and various activities, Century Corporation endeavors to become your greatest partner in various business fields, such as refrigerator, airconditioner, ship I industrial machinery, cooler / heater, and nuclear power plant. Century Corporation is being recognized as an environment-friendly company through the combination of environmental factors based on Century's specialized technology and accumulated know-how.